And Jesus said, "if anyone strikes you on the right cheek, turn the other also" (Mt. 5:39). But we respond, "Yeah, but..."
When Jesus heard this, he said to him, "There is still one thing lacking. Sell all that you own and distribute the money to the poor, and you will have treasure in heaven; then come, follow me" (Luke 18:21-22). But we respond, "Yeah, but..."
"Then he will say to those at his left hand, 'You that are accursed, depart from me into the eternal fire prepared for the devil and his angels; for I was hungry and you gave me no food, I was thirsty and you gave me nothing to drink, I was a stranger and you did not welcome me, naked and you did not give me clothing, sick and in prison and you did not visit me'" (Mt. 25:40-43). But we say, "What... when did we in the midst our our hectic schedule...".... Yeah, but." 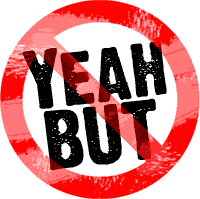 The "Yeah, but..." principle is a coy identification of a seeming or apparent contradiction, either in commonly held practices or prevalent personal beliefs. It does have the advantage of pointing out to the reader/hearer where their priorities may lie prior to a more honest examination of their beliefs. On the one hand, the "yeah, but" can be a way of saying that I know better than what God tells me. That's bad so far as our faith practices may be concerned. On the other hand "yeah, but" can be a fair way of identifying that the scriptural support is not as easy as one verse or context may indicate. 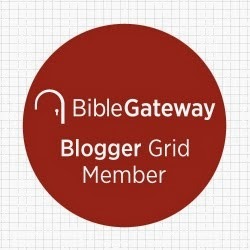 That's good so far as understanding the truth of God's word is concerned.